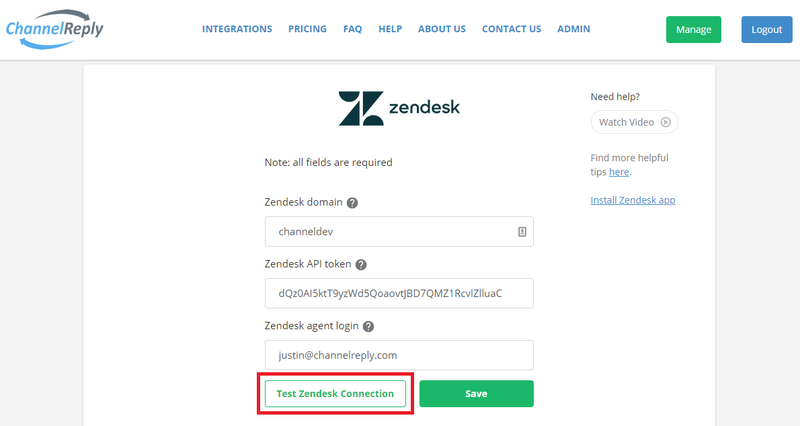 This step-by-step guide will walk you through the Zendesk integration process. Read the following instructions or watch the how-to video below to see how it’s done. Notes: Click on any screenshot to see the full-sized image. Article last updated 12/21/2018; video last updated 2/17/2017. 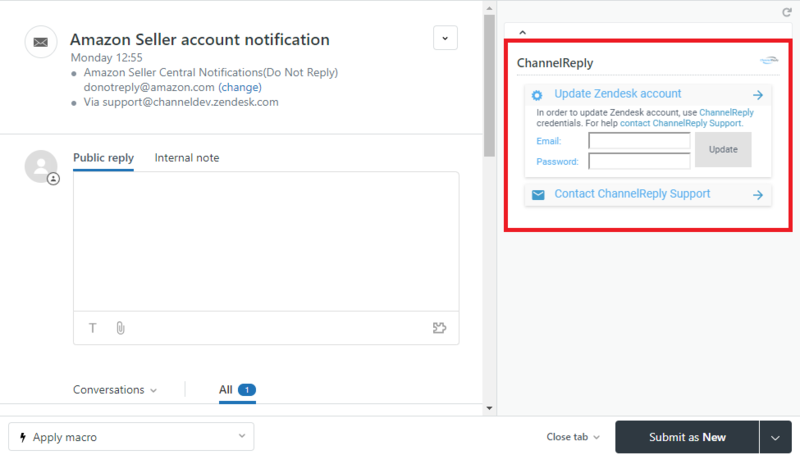 You’ll first need to sign in to your ChannelReply account and your Zendesk admin account. Click “Sign In” to log in to ChannelReply. If you still haven’t signed up, you can click “Start Free 14-Day Trial” to get two weeks of free access. You can log in to your Zendesk account here. 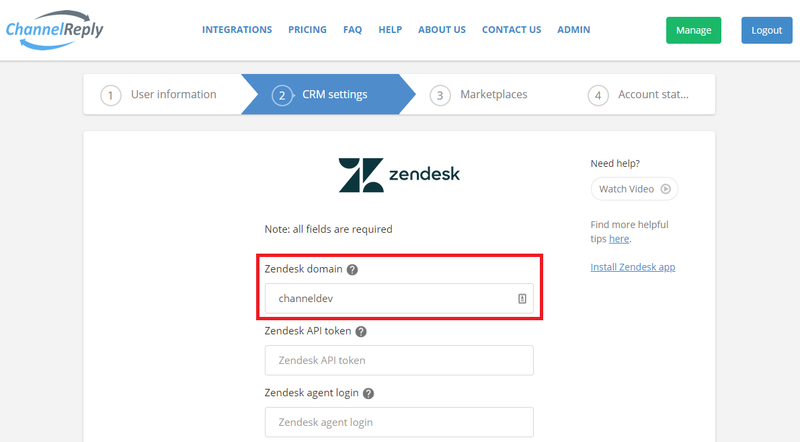 You will have the opportunity to fill in your basic user information, but you can skip this step for now by clicking “CRM settings.” Choose Zendesk as your service desk. 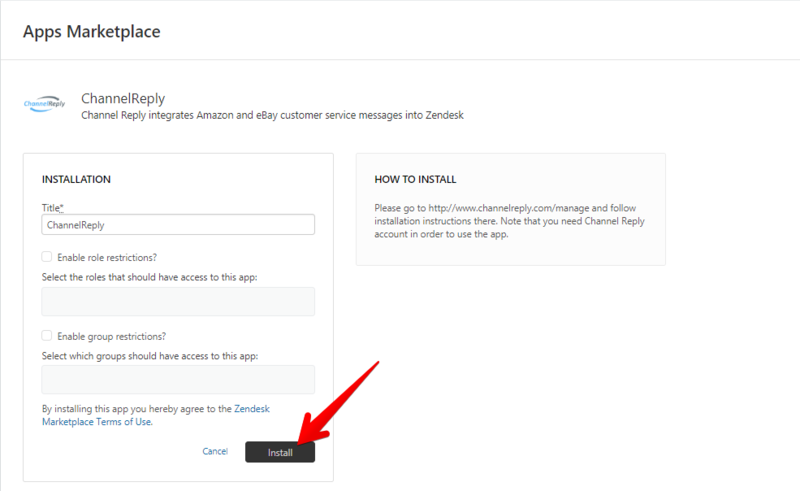 We need information about your Zendesk account in order to integrate it with ChannelReply. You will find most of this information under Channels–> API on your Zendesk admin page. Your Zendesk domain is found between https:// and .zendesk.com in your admin page’s URL. It's "channeldev" in this example. 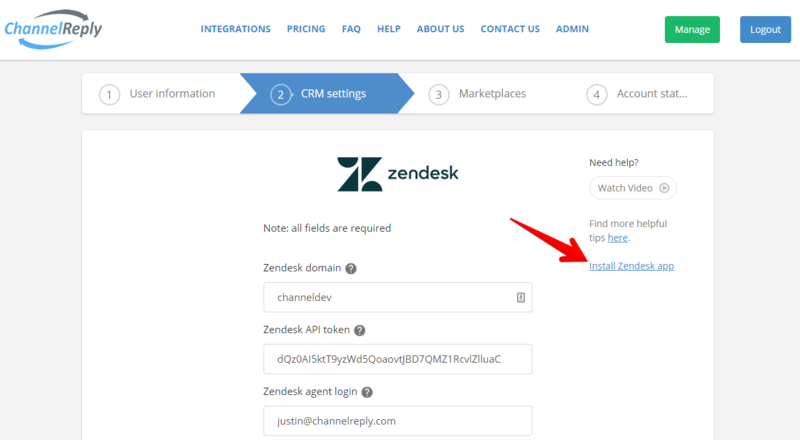 Copy yours and paste it into the “Zendesk domain” field in CRM settings. IMPORTANT: Save your token in a secure file. It will not be shown again after you leave this page! 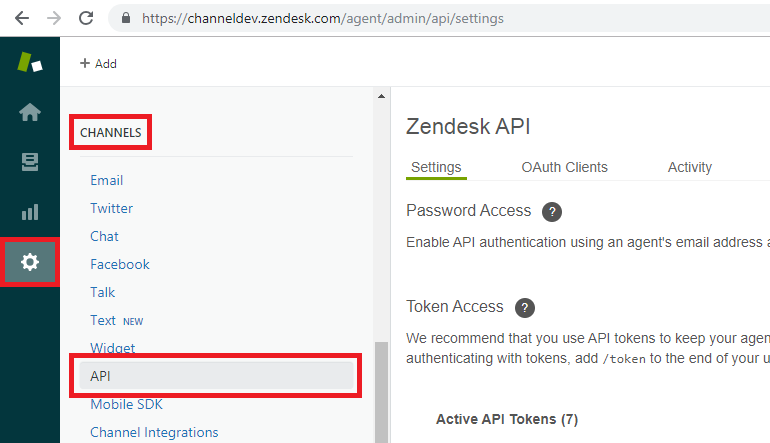 Finally, return to the ChannelReply page and paste your token into the “Zendesk API token” field. If you have entered everything correctly, you should see a success notification like the one shown. Close the notification by clicking “OK” and then click “Save” so you don’t lose your progress. Click the blue “Install Zendesk app” text on the right. You’ll arrive on the page for our app in the Zendesk marketplace. The app itself is free—there are no further charges for installing it. Click on the blue “Install” button to begin. 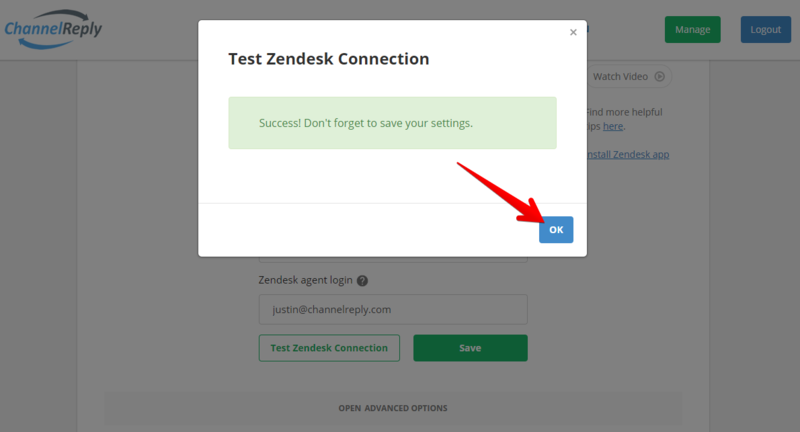 Zendesk integration is now complete! You should see ChannelReply in your currently installed apps, plus a success notification in the upper right. Now, open any ticket in your Zendesk account. If you don't already have the apps sidebar open, click the "Apps" button in the upper right. The ChannelReply app will appear and display a login screen. Enter the same email address and password you use to sign in to ChannelReply. After you've finished integrating eBay and/or Amazon, the ChannelReply app will display detailed info about the customer and their order on any new buyer message. 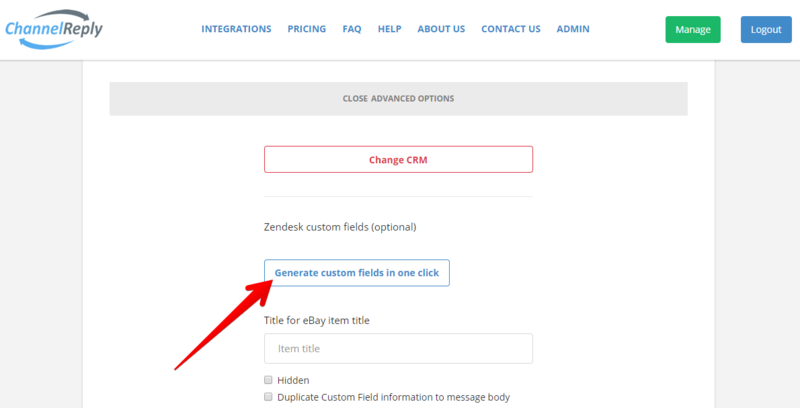 Follow these instructions to prevent Zendesk's default triggers from sending duplicate replies to your eBay and Amazon customers. Read our other how-to articles on Amazon integration and eBay integration. If you ever need assistance, please don’t hesitate to contact us. By checking off “Duplicate Custom Field information to message body,” you can set important fields to appear inside your Zendesk tickets in addition to the sidebar. Alternatively, you can hide unneeded ones. You can also give each one a custom title. If you’re happy with the default titles shown in light grey, click “Generate custom fields in one click.” This will fill in all the custom field titles. Clicking on any field will give you the options to remove it or save your changes. You can also rewrite any title as desired—just be sure to click “SAVE” afterwards. 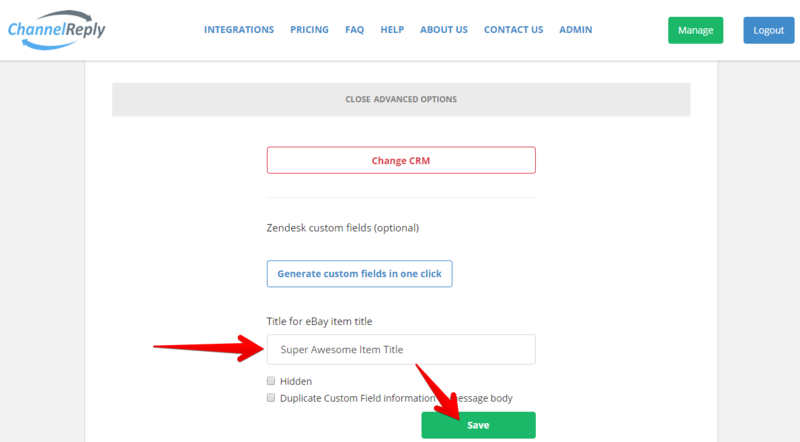 Clicking “Remove” will delete the current title for that field and prevent it from appearing in Zendesk. If you ever wish to add it back, simply type in a new title. Below, you’ll see what your marketplace messages will look like in Zendesk. Critical information about your tickets will appear in the app on the right. You will also see the custom fields you created on the left. When you’re happy with your custom fields, go back to your Zendesk admin page and go to Manage–> Ticket Fields. Here you can review and edit your custom fields anytime. To unlock the full awesomeness of custom fields, see "How to Use Custom Fields from ChannelReply in Zendesk Macros."